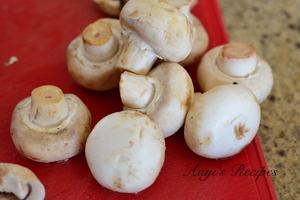 Mushrooms was one of the favorite things to eat when I was growing up. I haven’t been using them much lately. Last week I saw a pack of beautiful pack of mushrooms and I impulsively bought it. I wanted to make something different. 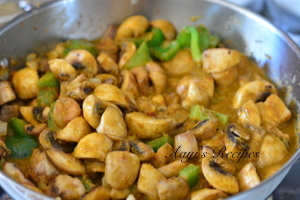 I prepared this spicy Mushroom – capsicum gravy. It was so good, V sent a message to my family whatsapp group saying “the best bhaji with chapati in the history of the universe” lol. I thought that deserves a post on the blog!. 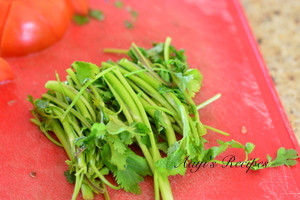 Clean and cut mushrooms and coriander stems. 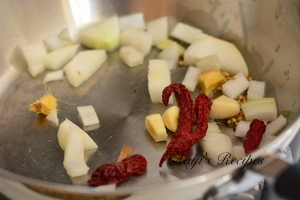 Fry the ingredients for he gravy paste. Grind the mixture with coriander stems to a smooth paste. Heat oil and fry mushrooms for few minutes. 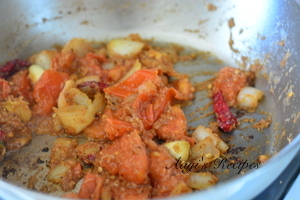 Fry onions and then add capsicum, mushrooms, followed by ground paste. Add enough water and cook till done. 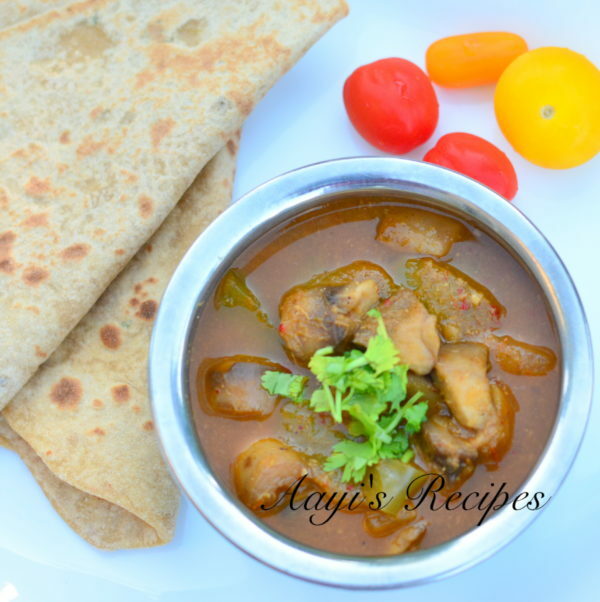 A spicy gravy with mushromms and capsicums that goes well with chapatis. 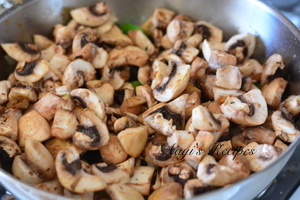 Wash and chop mushrooms into big pieces. 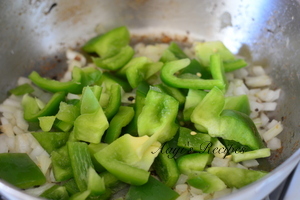 Chop capsicum into big pieces. Heat oil and add coriander seeds. Then add onions, ginger garlic. Fry till they are translucent and then add goda masala or garam masala, turmeric. 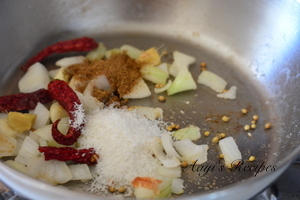 Now add coconut, fry for few minutes. 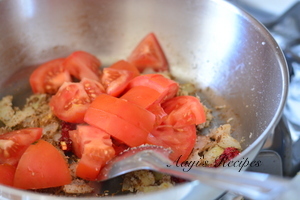 Add the tomatoes, cook till they are mushy. 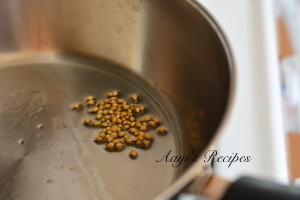 Grind the mixture along with coriander stems to a smooth paste. Heat oil and fry mushrooms for few minutes (I think this step enhances the flavor). Take them out and fry capsicum for few minutes. Take them out, in the same pan, heat oil and fry onions. 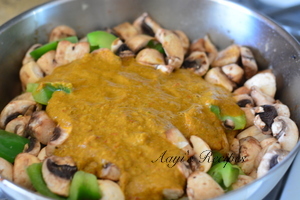 Then add mushrooms, capsicum and ground paste, salt. Add water depending on how thick/thin gravy you need. I am sure this must have very tasty and healthy as well. Looks very tempting.